The number of Marines of the Northern Fleet will be increased by about a third. On the basis of these units will be a separate command of the Russian army in the Arctic. 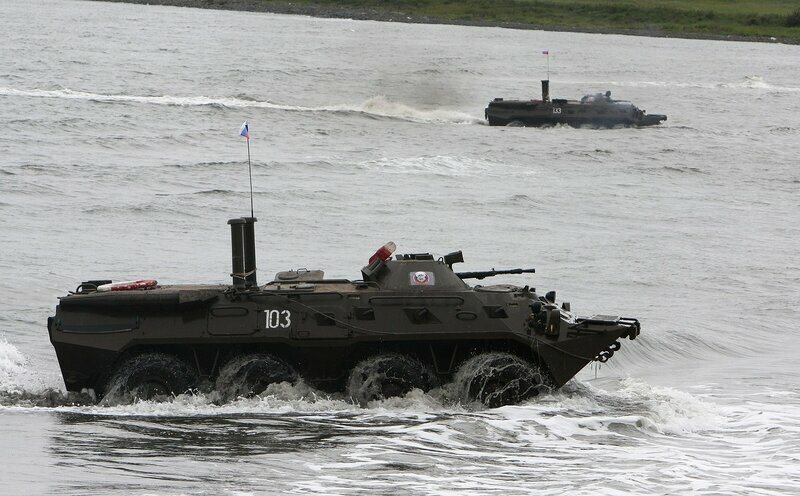 Russian Defense Ministry plans to buy the new amphibious tracked armoured vehicle PTS-4 in 2014. The Russian Defense Ministry is planning to include a new amphibious tracked transporter PTS-4 in defense procurement for 2014, RIA Novosti reported. How many vehicles can be purchased in the coming year and the budget which will be used for this project, is not specified. According to RIA Novosti, the Russian military were satisfied with that type of vehicles, which is now equipped with a new remote controlled weapon station armed with a 12.7mm machine gun. The PTS-4 is motorized with a multi-fuel engine developing 840 Ch. The PTS-4 was unveiled for the first time to the public in 2007 during the defense exhibition VTT-Omsk. The PTS-4 has a total weight of 33 tons with a payload of 12 tons on land and 18 tons on water. The vehicle is able to reach a maximum speed on road of 60 km/h and 15 km/h on water. Developed since 2007 by the Russian Defense Company Uralvagonzavod, the PTS-4 is based on the suspension of main battle tank T-80 and gears of main battle tank T-72. The PTS-4 can carry infantry fighting vehicles, armoured personnel carrier and trucks. The PTS-4 will be ready to enter in production. In 2011, the vehicle has passed a series of qualification tests. The PTS-4 has a fully-enclosed armored cab. It provides protection against small arms fire and artillery shell splinters. Marines of Russian Navy received the latest body armor “Corsair MP”, the deputy chief of the Russian Navy coastal forces colonel Dmitry Gnezdilov said on Tuesday. Currently, as part of anti-terror groups at different points of the oceans, about 400 Marines are at active duty on ships and support vessels of the Russian Navy. All are equipped with floating body armor “Corsair MP”. “The units and divisions of the Marine Corps of Pacific, Northern, Black Sea, Baltic Fleet and the Caspian Flotilla received several thousand of unique floating body armor “Corsair MP”,” Gnezdilov said. He also noted that the testing of body armors and equipping of marine units were effectuated for the last few years. Russia's Northern Fleet marines will participate in military exercises on the Arctic, according to Northern Fleet spokesperson Vadim Serga. MOSCOW, January 8 (Sputnik) — Russia's Northern Fleet marines will undergo special training in 2015 for military activities in the Arctic, Northern Fleet spokesperson Vadim Serga said Thursday. In 2015, the Independent Marine Infantry Brigade of the Northern Fleet's United Strategic Command will focus on training in the Arctic, Serga said. The planned exercises are aimed at increasing the proficiency of military personnel deployed on the coast of the Arctic Ocean and in other Arctic areas. The marines will practice parachute jumping and the use of small arms and artillery inside the Arctic Circle. In December 2014, Russia unveiled a revised military doctrine prioritizing the protection of national interests in the Arctic. The region, which is believed to have vast reserves of oil and gas, has been the focus of attention for four other nations bordering the area: the United States, Canada, Norway and Denmark. Russian President Vladimir Putin said in December that the country is not planning to militarize the Arctic, but is taking the necessary measures to ensure its defense capabilities in the region. Is the arctic ice strong enough to hold APCs or artillery? If it is it wont be for long because global warming will severely thin it. They wont actually have bases on ice... otherwise they would sink in summer when the ice melted. The bases will be on land in northern Russia. 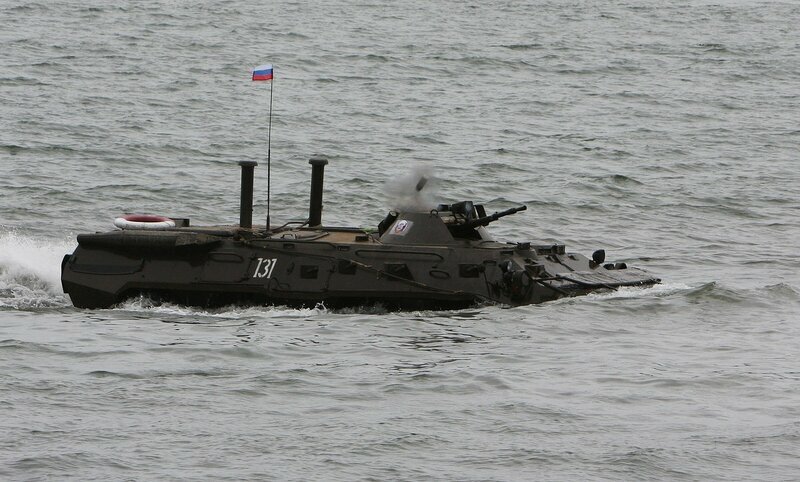 BTW Russian APCs and IFVs are generally amphibious so thin ice is not a problem. Over time as ice in the region gets thinner and thinner the ability to exploit resources in the region like oil or gas, and indeed even opening alternative shipping routes from Asia to western Europe become more lucrative... With human settlements already there it will be easier to exploit opportunities. MOSCOW, March 18. /TASS/. Units of the marine corps deployed near the town of Temryuk in south Russia’s Krasnodar Territory have been put on full combat alert as part of strategic command and post exercises, the Russian Defense Ministry reported Wednesday. The servicemen are practising counteracting subversive groups and aviation of a simulated enemy. The ministry also said Russia’s motorized rifle formation of the Eastern Military District deployed on the island of Sakhalin has been put on highest combat alert as part of a strategic command and post exercise. Since the beginning of 2015, Russia's armed forces have held more than 30 exercises and drills across the country — from Kaliningrad to the Far East, from the Barents Sea to the Caspian and Black Seas. The exercises range from tactical drills of separate units to command-staff, strategic and international maneuvers. Some of them continue now. The military training involves all service arms — strategic, fighter, attack, bomber and transport aviation, warships and groupings of all fleets and flotillas of the Navy, conventional and rocket-launching artillery, tank and motorised infantry troops. Good album with a lot of pics from Murmansk Naval Infantry circa 2013-2015. The marines will practice loading and unloading equipment from large landing ships, as well as firing artillery and learning to drive military hardware. 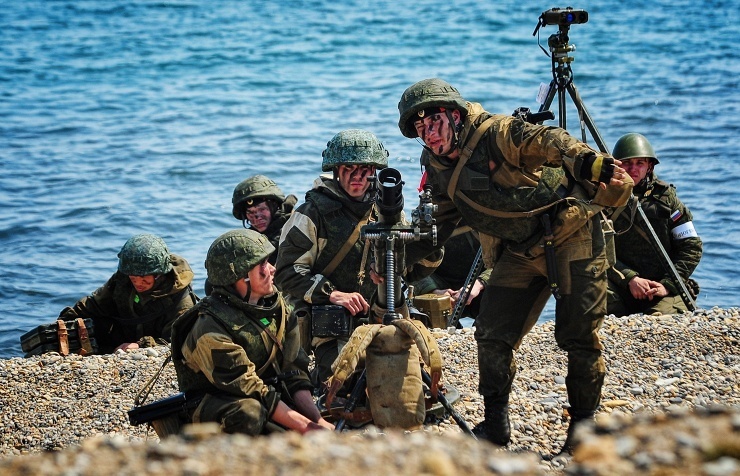 MOSCOW (Sputnik) – Up to 500 Russian marines from the Black Sea Fleet are holding live fire exercises at a military paratrooper field in Crimea, the Defense Ministry’s Southern Military District’s press service said Wednesday. “A large landing ship, the Novocherkassk, has been deployed to the Opuk [military field] with command staff, armored self-propelled vehicles, and marines who will participate in field assembly of missile troops and artillery in the Southern Military District,” the press service said in a release. 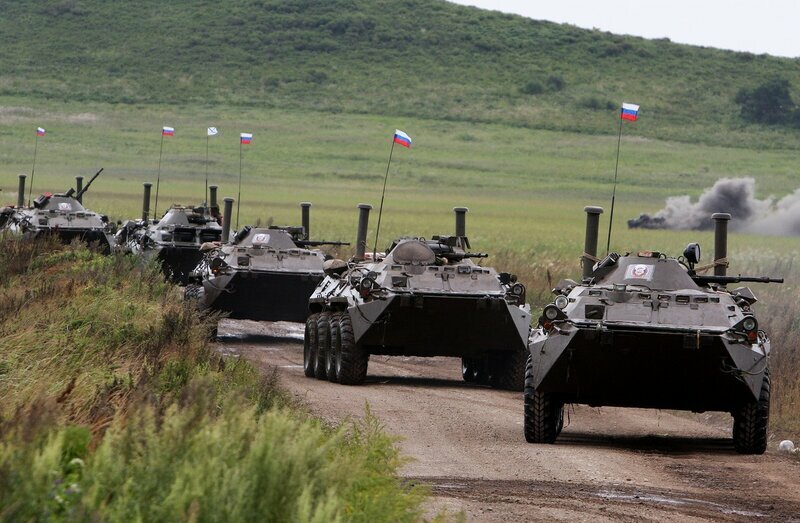 Wheeled military vehicles will then deploy from Sevastopol to the region of Feodosia to complete practical tasks. Earlier this month, NATO conducted training exercises with Romanian, Turkish and Bulgarian Navies in the Black Sea, while a tactical group of Russian Black Sea warships staged drills targeting decoy "enemy" bombers and ships. Last week, a source in the Russian Defense Ministry told RIA Novosti that Russia planned to deploy 10 Tu-22M3 strategic bombers and a large motorized infantry unit to Crimea as part of a large-scale snap inspection of combat readiness. US Department of State spokesperson Jen Psaki said last week that Russia's military exercises in Crimea would "undermine securing a peaceful diplomatic resolution" to the ongoing crisis in Ukraine. In March 2014 Crimea rejoined Russia following a referendum but the West did not recognize the results, claiming the vote violated Ukraine's territorial integrity. 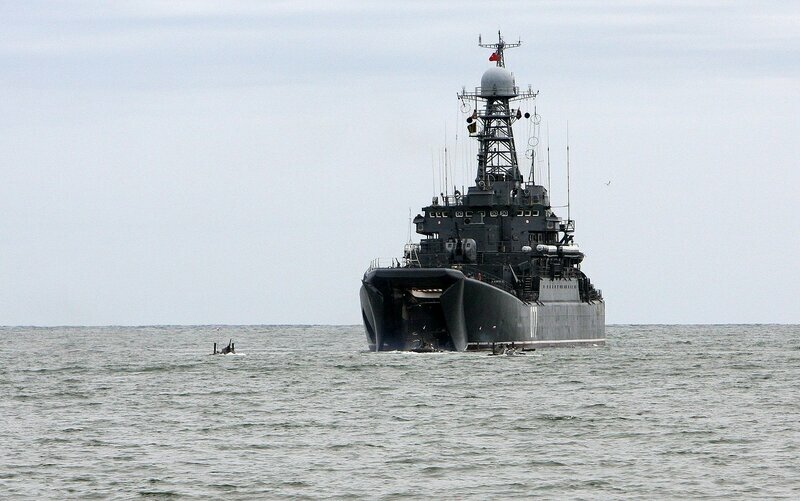 Defense Ministry Southern Military District press service said that around 600 Russian marines from the Caspian Flotilla have begun amphibious assault exercises in the country’s southern republic of Dagestan. MOSCOW (Sputnik) – Around 600 Russian marines from the Caspian Flotilla have begun amphibious assault exercises in the country’s southern republic of Dagestan, Defense Ministry Southern Military District press service said Monday. “Some 600 personnel, the Ataman Platov landing boat, four Serna-class landing craft and more than 50 pieces of military and special equipment from the marine units are taking part in the exercises,” the press service statement said. The statement described a drill scenario, in which the marines would conduct an operation to counter illegal armed groups in remote coastal regions. “The marines from the amphibious assault company completed a forced march and carried out an amphibious assault to engage a simulated enemy,” the press service said. Dagestan is a hotbed of Islamist insurgency in the North Caucasus and multiple violent attacks have been recorded in the region over the past decade. KALININGRAD, May 22. /TASS/. A unit of marines of Russia’s Baltic Fleet has performed landing on an unimproved shore from aboard a hovercraft and supported the party with gunfire as part of a naval exercise in the area of Khmelyovka naval testing range, Captain 2nd Rank Vladimir Matveyev, the official spokesman for the Baltic Fleet said on Thursday. The ship’s artillery simulated bringing down an aerial attack vehicle and an onshore battery of the simulated enemy and cut up a corridor for the marines. 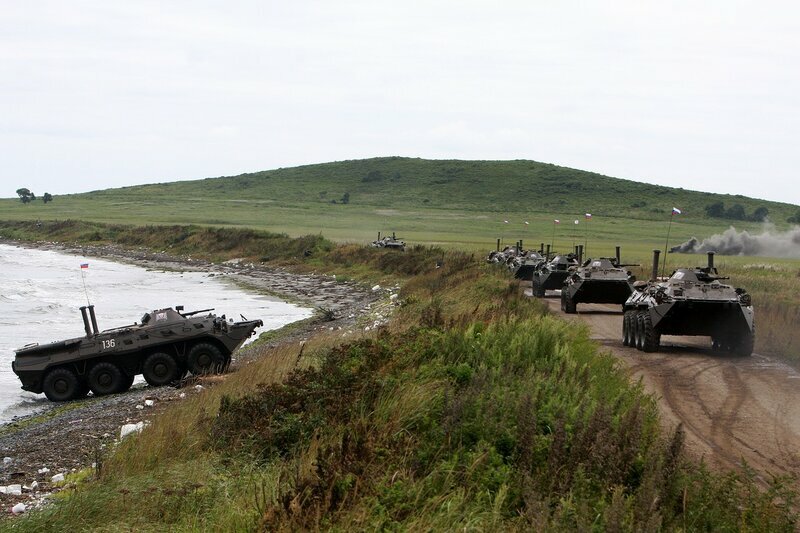 The landing party got to the shore on BTR-82A armored personnel carriers where it drilled a breaking through the defense lines of the simulated enemy, Capt. Matveyev said. The Yevgeny Koshechkov and its twin, The Mordovia, belong to The Zubr family of ships and are the largest operational aircushion amphibious ships. They can move on land surface and swamps and drop landing parties deep inside the enemy defenses. - 3rd (40th) - Petropavlovsk-Kamchatsky - North East Pacific Zone - Note: was the 40th brigade, changed to 3rd Regiment and now back to Brigade size. Not sure if name changed back also. - 382nd - not sure of present status but was a BMP-2 type battalion used to defend the Novorossiyk Naval Base and Krasnodar Coast. These two are the Naval Infantry for the Caspian Naval forces and each consist of a Naval Infantry battalion reinforced with Air Assault, SP artillery and other combat support. - all tanks were withdrawn from the Naval Infantry. There are tanks in the Pacific North East that I'm not sure whom they belong to, as there are no Ground Forces there. - all Naval Infantry units are part of the different Fleet's Coastal Defense or Special Zones Commands which also include Ground Forces, Naval Spetsnaz, Coastal Artillery and other Navy units. Actually the opposite, Ground Forces are attached to the Navy in these Coastal Defense Commands or Special zones. The only area that puzzles me is the North East Pacific, for which I have seen tanks in maneuvers, but no Ground Forces attached there. The role of the Russian Naval Infantry is similar to those of the British Marines, quick Commando style raids. 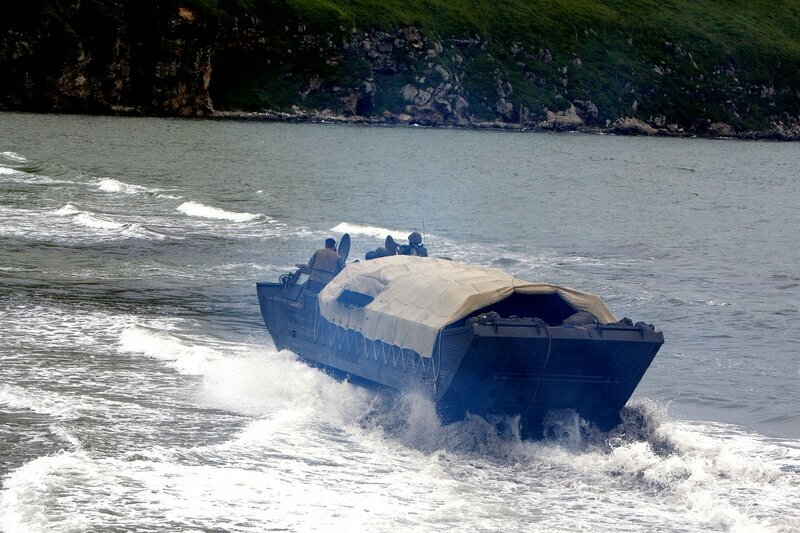 For all out amphibious assaults then Ground Forces would need to be included. Soviet military strategy eventually recognized the importance and complexity of amphibious operations. By the end of the Khrushchev period, the Soviet Union had commenced to break out of her continental shell and began to assert influence and interests worldwide. However, Khrushchev never succeeded in fully reshaping Soviet military power to support a political strategy of global dimensions. The succeeding regime saw this as one of their basic tasks. The Soviets re-evaluated their position in the early 1960s and re-activated the Soviet Naval Infantry in 1964, when Naval Infantry became a combat arm of the Soviet Naval Forces. In 1964 Soviet fleet responsibilities encompassed the protection of fleet areas, the expanded merchant fleet, fishing fleet, and oceanic research ships. By 1967 this responsibility clearly extended to the protection of Soviet interests ashore. Since then, the Soviet Navy has been used in various ways for political and diplomatic purposes. Traditionally, the Soviet Union did not rely on her navy for the external projection of power. But the Soviet Union began relying more and more on her navy for such projection as the reactivation of naval infantry, the deployment of the Kiev class carrier, and the construction of ocean-going landing ships clearly indicate. A key problem for the Soviet Navy would be assuring naval passage to the open oceans from the Baltic Sea, Black Sea, and Sea of Japan, and denying to enemy forces the strategic straits into these seas and the land areas near the Fleet bases. The Soviets and their Warsaw Pact allies maintained amphibious forces in the Barents Sea area, in the Baltic and Black Seas, and in the Sea of Japan. The effectiveness of operations of these forces would probably vary widely. Amphibious raids or counteroffensives would probably be conducted to outflank NATO forces in coastal theaters. Amphibious forces would be limited to regimental size in the Northern Fleet, to two regiments in tlte Pacific and Black Sea areas, and to about three regiments in thc Baltic. Amphibious operations in thc Baltic would probably include Polish amphibious troops and would be coordinated with airborne assaults and with major ground offensives. The North Cape of Norway could probably be taken fairly readily if the Norwegian brigade normally deployed there were not reinforced. In the Baltic, Soviet and other Warsaw Pact forces could probably capture thc Danish islands, if the Danish air and ground forces on Zealand were not reinforced, and link up with land forces attacking Jutland. In the Black Sea area, strong Turkish defenses and difficult terrain would make a coordinated land and sea assault on the Turkish straits more difficult. The Soviets probably could not seize these Straits quickly. Soviet Naval Infantry capabilities in the Pacific were insufficient for conducting amphibious assaults on the Japanese home islands to secure exits from the Sea of Japan. Exercise 0kean in April-May 1970, was one of the largest peacetime naval maneuvers conducted by the Soviet Union. These maneuvers included several amphibious assaults. In the Northeim Fleet area at least two battalions of naval infantry from the Baltic Fleet conducted an amphibious assault on the northern portion of Ry~bachiy Peninsula. The tasks assigned the naval infantry force were familiar ones: conduct an amphibious landing, seize a beachhead, and hold it until the arrival of follow-on ground forces. "Alligator" and "Polnocny" landing ships approached the beach preceded by Soviet minesweepers. Surface vessels and shore-based air support provided the necessary cover. By 1989 Naval Infantry consisted of 18,000 marine troops organized into one division and three brigades. 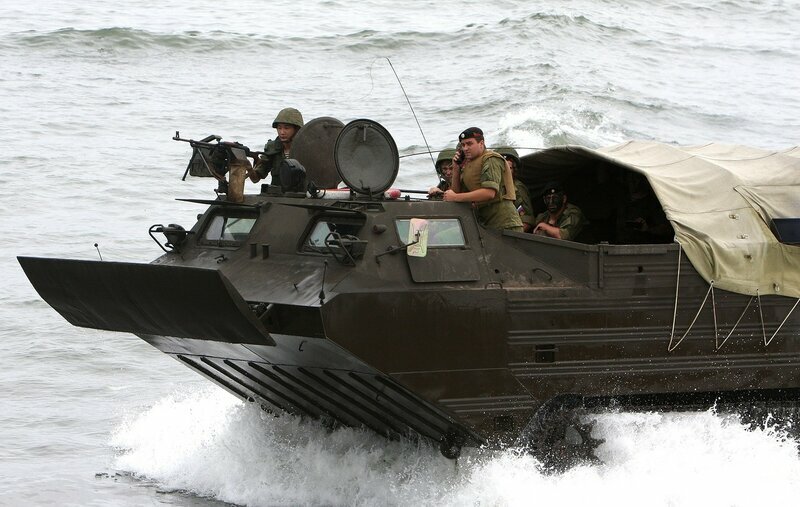 Naval Infantry had its own amphibious versions of standard armored vehicles and tanks used by the Ground Forces. It has the capability to conduct tactical landings with highly mobile forces, air cushion vehicles, and landing ships. Its primary wartime missions would be to seize and hold strategic straits or islands and to make seaborne tactical landings behind enemy lines. During the 1980s Soviet Naval Infantry exercises in the Kuril Islands north of Japan indicated that the intended target of Naval Infantry was the shores bordering various choke-points. In a conflict, these troops would most likely be sent ashore to capture the Dardanelles or the Kattegat straits and then wait for rapid reinforcement. Today i think more possible engagements today for Naval Infantry concerning areas could be Kuril Islands and Bosporus straits. The Russia Naval Infantry at the most numbers 12,000 men. I don't believe all of them could seize and hold the Bosporus Straits. The areas of use would be the North, Kuriles, Sakhalin and Kamchatka. Reverse engineer this for a moment, with modern missiles, ships and aircraft if a Western Amphibious force attacked Crimea today there are 2 Bal and 2 Bastion units in the area alone which would deliver 64 missiles to 120 km and 16 to 300 km in each volley. Then you have the ship launched and aircraft launched missiles... it would be a duck shot. The Amphibious assault on Normandy is passe against a modern well armed opponent. 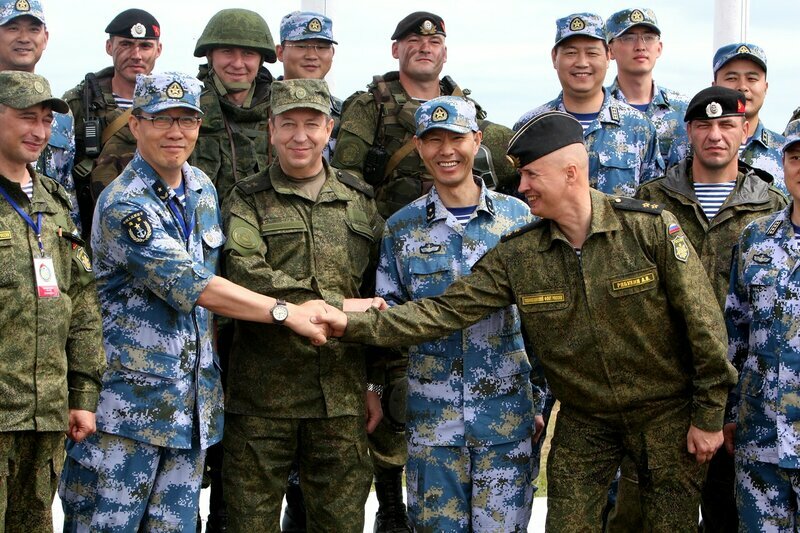 It is my opinion that part of the aggressive behavior on the American's, is that with the present military modernization programs of both Russia and China, they realize that by 2020 they could not defeat them in a battle but may still be able to today. Nuclear weapons aside of course. That coupled with the increasing attack on the dollar as the World's prime currency. MOSCOW, June 1. /TASS/. Marines of the Russian Pacific Fleet, stationed in Kamchatka, will soon conduct several exercises, including with over-the-beach landing on the Kuril Islands, spokesman for the Eastern Military District, Colonel Alexander Gordeyev said on Monday. 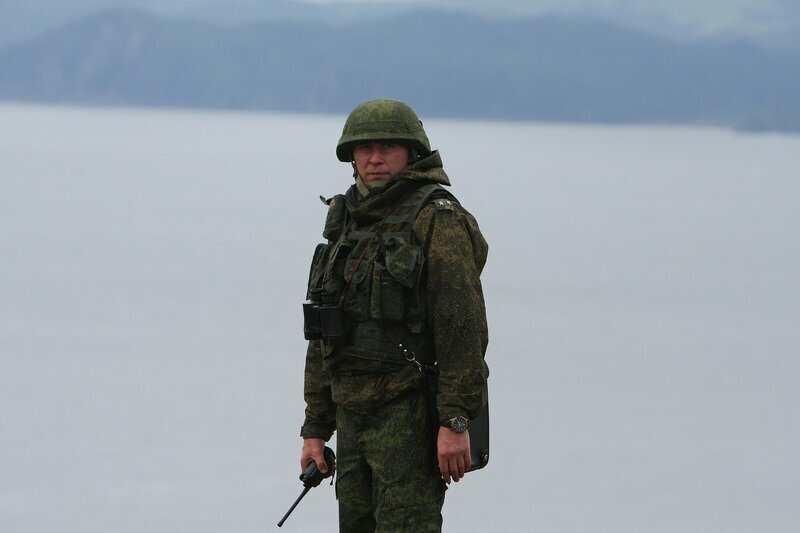 According to him, the military district commander Colonel General Sergei Surovikin checked the Kamchatka Marine brigade combat readiness on Monday. "Troops of the formation created in December 2013 have already approved themselves in various exercises of different levels, including the Vostok-2014 strategic manoeuvres, the active phase of which took place in Kamchatka. They will soon participate in a number of tactical exercises, including in drills with over-the-beach landing on islands of the Kuril chain," Gordeyev said. Naval Infantry of Black sea fleet using 6B47 Helmet and Corsar-MP Floating Bodyarmor, 6B43 Body armor . 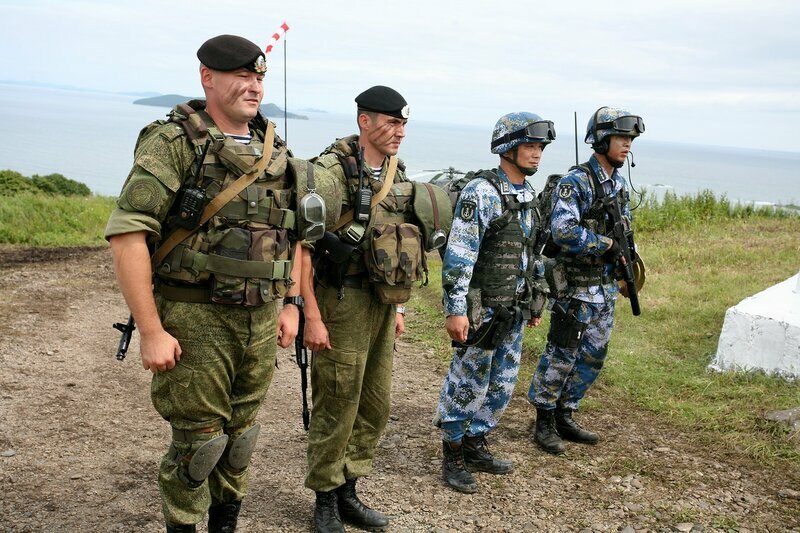 Russian Marines photos from the Sea Cooperation-2015(II) Chinese-Russian exercises kicked off in the Peter the Great Gulf close to the strategic port city of Vladivostok last Friday. They totally need to start delivering new armor to Naval Infantry in greater numbers, at least those BTR80AMs from overhauled BTR80s. BTRs have better sea keeping properties than heavier BMPs, plus the naval infantry are the poor second cousins... they will reportedly get their own model Kurganets adapted for sea keeping. 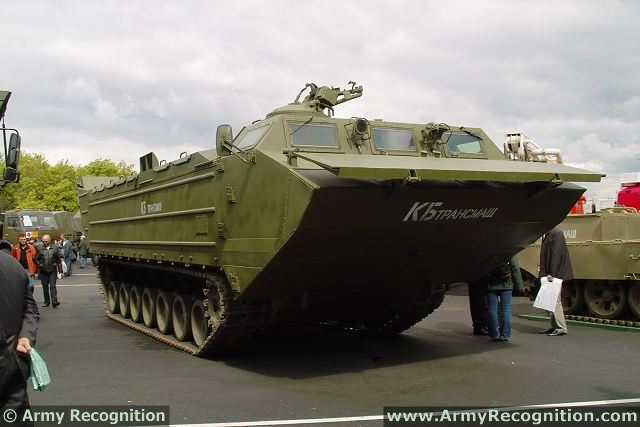 GarryB wrote: BTRs have better sea keeping properties than heavier BMPs, plus the naval infantry are the poor second cousins... they will reportedly get their own model Kurganets adapted for sea keeping. 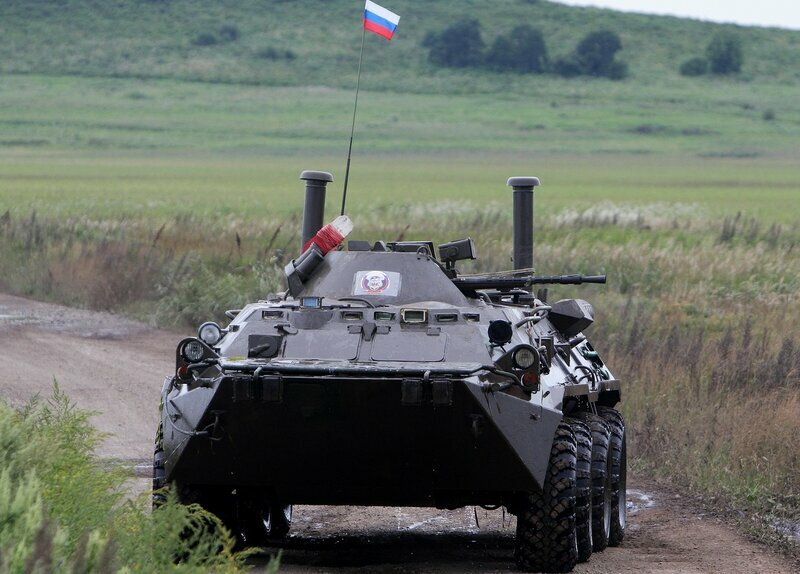 I remember them mentioning first 2-3 years ago how specialised version of BMP3 was made for them, later they stopped talking about it and these modernised BTR80s started appearing instead. Yeah i heard about Kurg 25 based vehicle for them but till it comes they should do something as stopgap solution coz their armor looks quite sad i must admit, they seem always being pushed aside. Those in the West appear to be getting the BTR82AM first. Yes, those are refubrished BTR80s to the level of BTR-82A. And their designation is BTR82AM. They are easy to recognise they have welded swim barrier at the front.